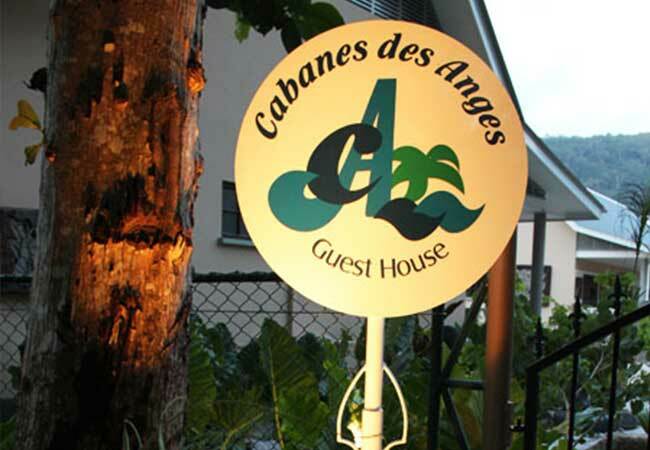 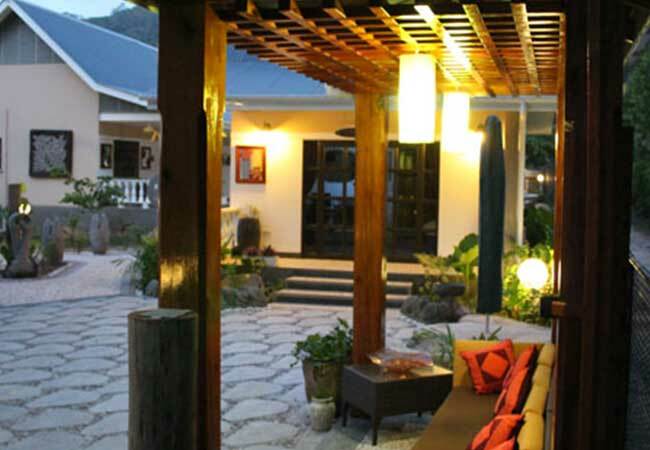 Cabanes des Anges on La Digue Island provides some of Seychelles warmest hospitality and unequalled approach to small Guesthouse luxury. 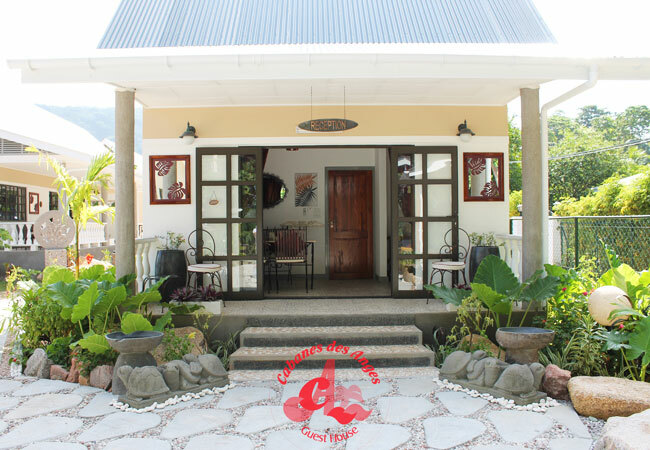 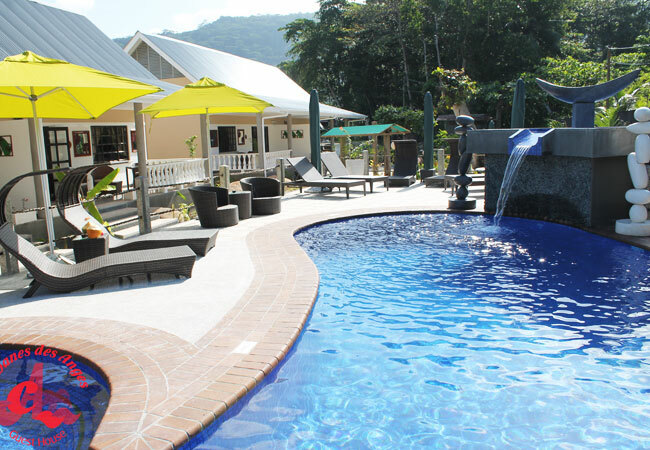 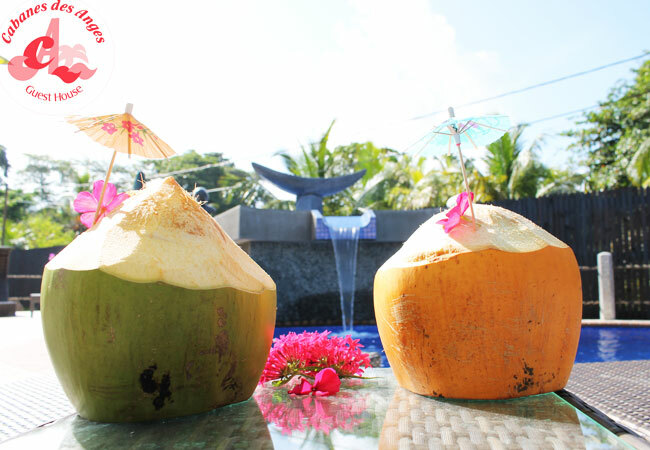 It stands 5 minutes off the Anse Reunion beach, and is situated in a peaceful and exotic tropical garden of palm trees and a variety of flowering plants, providing a cool and breezy atmosphere complimenting the natural beauty of the island. 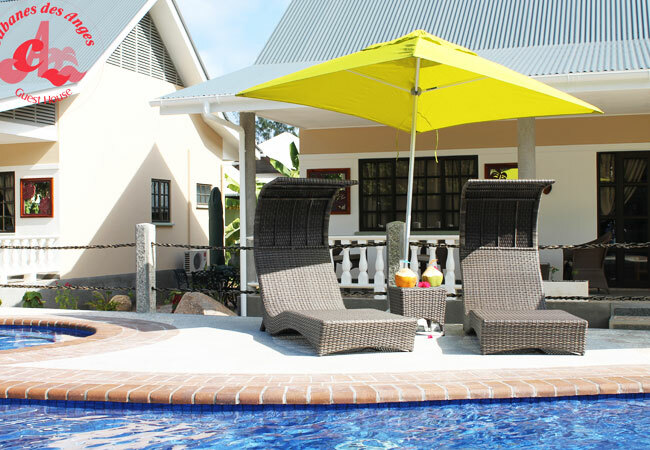 Only 15 minutes walk from the port, these newly built apartments offer excellent value for money, with all the facilities you need. 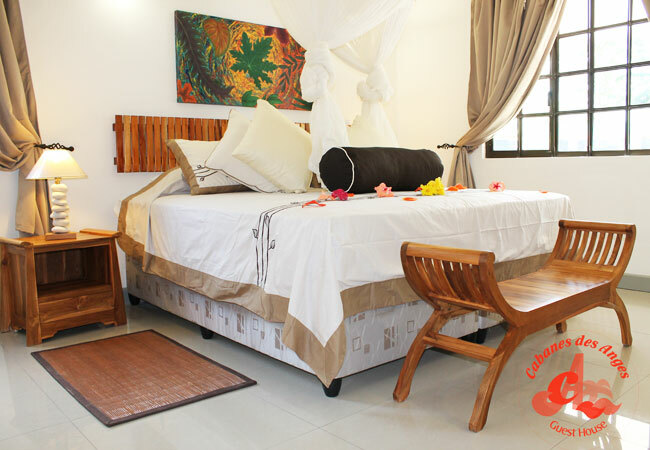 All apartments are modern built with an elegant Creole touch. 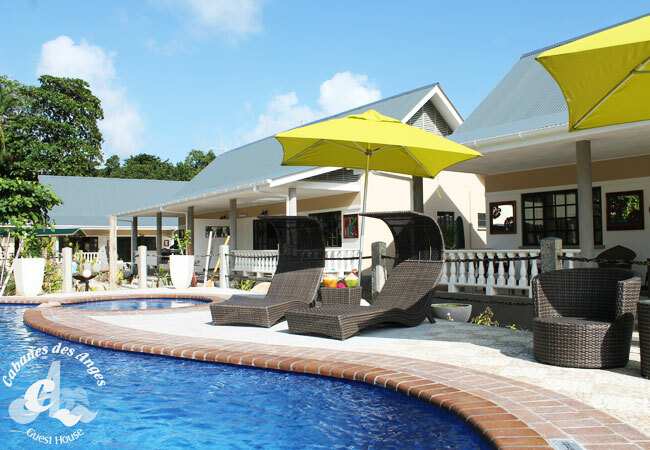 They each consist of 1 en-suite bedroom, private verandah and kitchen. 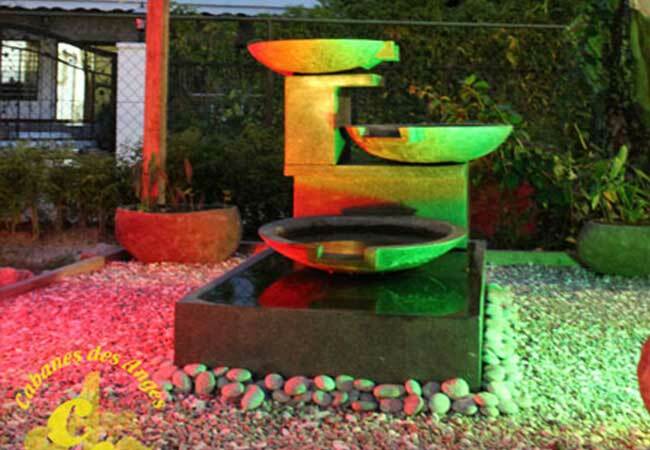 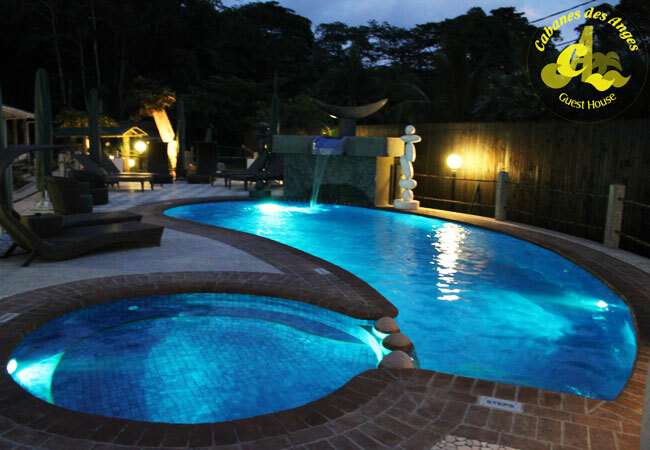 The property also has a small swimming pool and garden shower facility to be shared by all guests.